"I was always fussy with my clothes but really hated using commercial washing powders - the kind of synthetic crap Mum would drag back from Woolies - the way they didn't dissolve, the residual left on your clothes, the artificial smell, the awful feel if used for hand washing, the way it went musty if you left washed washing in the basket, the stiff feel of your dried clothes, the need for fabric softener, the way they irritated your skin, not to mention pouring the grey water down the drain and so pollute the environment. I hated everything about them. I decided it was just a big advertising con by the multinational manufacturers to get you to buy something you didn't need, so I just washed in ordinary cold water. This worked quite well, for a month, before griminess over took my washed clothes. So, I searched for something different and tried an array of ideas including dragging seawater back from the coast (to get that real natural sea freshness). Anyway, many, many experiments later I came up with a formula that was better than expected but quite expensive to make. The only way around that was to buy the ingredients by the pallet load, but then I would have enough laundry liquid 'till I was seventy or... I sell it! So, came the labels, packaging, a good mate did the website and Naturally Clean was born. Now, with improved formulas and labels and many markets, road shows and promos later Naturally Clean is available in health food and organic stores and some independent supermarkets from Melbourne to Townsville!!! But there is more to Naturally Clean than just being another retail product. 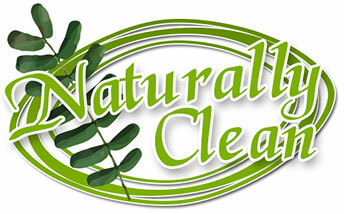 Naturally Clean is about helping people to remove pollutants from their lives and the environment. Do we really need to buy products that are toxic for us and our families? Is it right that the more we consume the more we contaminate the Earth? Why cant companies incorporate low to no waste and maximum energy efficiency into production? Should we just consume what the big multinationals sell us because it's on special? Do they care about anything but profits? I suspect not. But there is even more to it than that. Naturally Clean wants to recycle all returns back to the environment on the basis of a belief that we should give back and not just take. The ultimate vision of Naturally Clean's strategy is to put all profits back into a conservation venture designed to rehabilitate dilapidated farmland and restore it to both produce human foodstuffs and provide habitat for the indigenous flora and fauna. Lets see how it goes..."
- John Lieber, owner of Naturally Clean, was recently interviewed on radio by 666 ABC Canberra. See the article on the ABC website.